Austin Bakes for West, Open for Donations! Hundreds of bakers, bloggers, volunteers and businesses across Austin need your help TODAY to raise $15,000 for recovery efforts in West, Texas. Stop by one of eight locations in Austin and Round Rock to make a gift to AmeriCares and pick up some sweets. Over 200 home cooks and 40+ local businesses will be putting out their finest treats for Austin Bakes for West TODAY. We have plenty of goodies, so you can help by bringing your wallet and an appetite to any of eight bake sale locations around Austin. We are also accepting gifts online through our secure online giving page. Over 200 home cooks, bloggers and businesses are Baking for West today. All items at Austin Bakes for West will be sold by donation, so donors can choose how much they’d like to give to AmeriCares in exchange for the baked goods of their choice. Just drop those bills or checks in the donation jar and take your pick of goodies to share with your family– or not. We won’t tell if you eat all the kolaches before you get home! 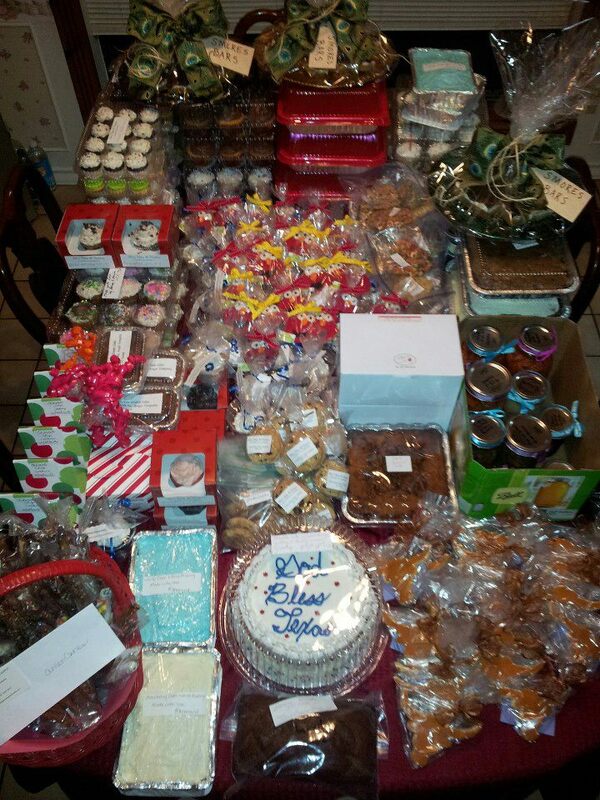 Items at Austin Bakes for West are sold by donation. Please bring exact change if you can, and make checks out to AmeriCares. Bring the whole family! We are kid-friendly and parent-friendly. We will have individual cookies, cupcakes, cake balls, brownies, kolaches, scones, and other single-serving pastries, plus packaged half-dozens and dozens, whole cakes, loaves of bread, pies, and more for sale at each location. Austin Bakes for West is a donation-based bake sale. That means instead of listing prices on each item, we’ll look to customers to make a valuation of their purchase and support AmeriCares accordingly. Bring exact change for your purchases, if possible. We’ll accept cash and checks (made out to AmeriCares, please) in person at the bake sale. Supporters who wish to make a gift by credit card may do so at the Austin Bakes for West FirstGiving page. Please bring your email gift receipt on paper or your phone if you’d like to pick up some items up at the bake sale as a thank-you for your gift! Want to help out? Our greatest need today is for cash donations and paying customers at the bake sale. If you’re planning to drop off some baked goods, please help us adhere to Travis and Williamson County health codes by wrapping/boxing/packaging your items and labeling them with their name and food allergy info. Remember, items will sit in the sun at the bake sale, so please bring things that don’t melt or need refrigeration. Gluten-free and vegan items will be clearly labeled and available at all eight Austin Bakes locations, while they last. We will be tweeting the sale using the hashtag #AustinBakes, and giving fundraising updates via our Twitter @AustinBakes. Please bring exact change if you can. We’ll also take a check made out AmeriCares, or gifts via credit card online. Stiles Switch will be selling homemade chocolate chip cookies at the sale, plus kolaches made with their three ]smoked sausages. They are also hosting an after-party for Austin Bakes volunteers and bakers, with live music. Join us from 2:30-5:00! 100% of money collected at the sale and online will go to AmeriCares for their work in West, Texas. We will have single-serving cookies, brownies, cupcakes, kolaches, and cake pops, as well as whole loaves, cakes and pies. Decorted cookies and cupcakes usually sell out quickly once they are set out at the bake sale. If we do have extra baked goods, they’ll be donated to local fire stations after the sale closes at 2 PM. Crema Bakery is giving 10% of sales inside their cafe to AmeriCares in honor of Austin Bakes. 100% of bake sale proceeds outside the store will got to AmeriCares. Fatback Boucherie: Cane Syrup Cakes + Mike has promised a roasted suckling pig to the first person to donate $100 to Austin Bakes while he’s at the table. He’ll be at the sale site first thing in the morning. Finally, local businesses Crema Bakery and Sugar Circus are donating 10% of their own sales today to Austin Bakes. And when you shop at local bakery supply store Make it Sweet and mention Austin Bakes, they’ll donate 25% of your purchase total to Austin Bakes. We can’t wait to see you at Austin Bakes for West today! Thank you fo all your support. Thank you so much to all the Austin bakers, bloggers, tweeters, businesses, donors and eaters who are coming together today in support of West! Please join in the fun at the Austin Bakes location nearest you. All eight bake sale locations will be open from 10 AM to 2 PM today. Proceeds from sales at all locations will go to Americares, a 501(c)(3) non-profit doing good work in West. We’ll also be accepting donations online at our FirstGiving page before, during and after the sale. 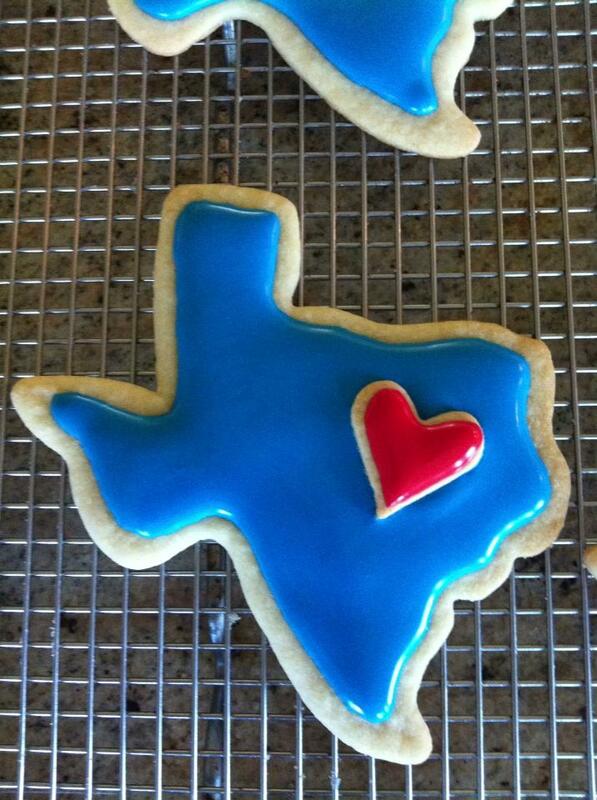 Click here for a Google Map of all eight bake sale locations around Austin! 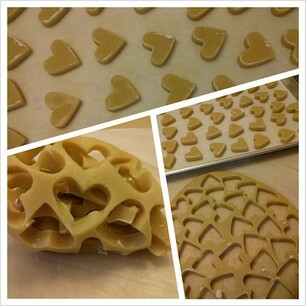 This entry was posted in Austin Bakes for West, Blog, News about the sale, Past Sales by Kathryn. Bookmark the permalink. Capital Cake Chick is also bringing chocolate chip cookies, jumbo peanut butter cookies, Texas pecan roca, and caramel turtle cupcakes to the South Austin location! Hi my name is rimonda I work at OLOL SCHOOL in the P A . We’re going to have a fundraising day on the27th June and were going to have mini cup cakes . We hope and wish if you can help or donate some cup cakes or something . We are looking about 800 cup cakes. Thanx I will like to hear from u A S A P THANX. Kind regards rimonda god bless .